Good luck Kinsey from all of us! Coaches and athletes of Royal City Track and Field Club want to bid a fond farewell to club athlete Kinsey Weir! Kinsey is off to Saskatchewan for her final year of high school, then onto university, with plans to continue her training in pole vault in Saskatchewan. Kinsey joined RCTFC in 2008 and began competing in sprints, hurdles, high jump, long jump, triple jump, javelin, cross country running and eventually trained in pole vault which has become a passion and a main focus for her. Kinsey has represented herself and her club remarkably well in this venue over the years with performance achievements at BC High School Championships, BC Summer Games, National Youth Championships and a multitude of various other track club sponsored meets. On behalf of the entire Royal City Track and Field Club, we wish Kinsey well in her studies and her future athletic endeavors! We are certain we will hear from and about her from time to time on the track and field circuit. Congratulations to the 10 Royal City Track and Field Club athletes who competed at the Legion Canadian Youth Championships August 15-17 in Langley. The athletes were: Emmanuel Dadson, Devin Strome, Lauren Vanee, Brianna Bates, Emily Chilton, Grace Fetherstonhaugh, Prachi Brahmbhatt, Kinsey Weir, Taylor Morrison and Jenevieve Patry-Smith. Highlights included Taylor Morrison’s Silver medal in the 1500m race walk event, Devin Strome’s 8th place finish in high jump and Kinsey Weir’s 6th place finish in pole vault. 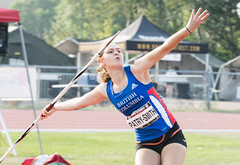 Brianna Bates also deserves recognition for making it into finals with her performance in javelin. 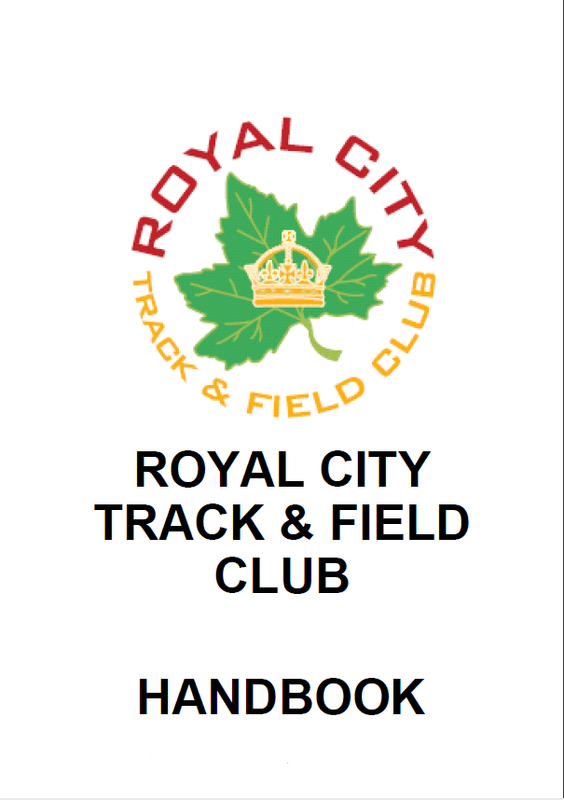 All Royal City Track and Field Club athletes are eligible and encouraged to participate in the Cross Country Program available through the club at no extra cost. New members are welcome to join in September for the Cross Country Program with Royal City Track and Field Club with the option of only participating in the fall Cross Country Program at a reduced membership fee or they can choose to have their Cross Country fees contribute to a full Royal City Track and Field Club membership for the following spring track season. Please visit the following links for more information about registration and the practice schedule for the cross country season.